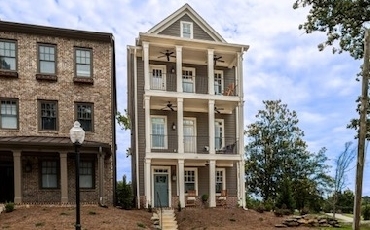 Parkside Downtown Norcross features three-story detached row houses in Downtown Norcross overlooking Lillian Webb Park. Walking distance to local restaurants and shops. Parkside is a unique residential community designed to capture the classic architecture of the Row Houses of the 1920s and 1930s. Each home features 3 bedrooms, 3.5 baths, large porches, hardwood floors, granite countertops, and open living areas with spectacular views. Centered in the heart of the Norcross Historic District, Parkside is a short walk to all of the amenities Norcross has to offer, including 4 parks, 9 restaurants, the Lionheart Theatre, the Community Center, a large children's playground, and a variety of specialty shops. Parkside also features a live/work component, the first of its kind in the City of Norcross, which enables the occupant to operate a small business out of their home. With its small town charm, good schools, low crime rate, and convenient access to interstates, major highways, office parks, Gwinnett activities, and the City of Atlanta, Norcross is the ideal location to call home. 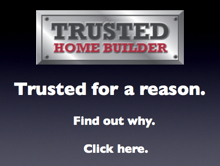 For more information call Waters-Edge Group at 678-578-6814.